Daisy Johnson, Man Booker Prize shortlisted author of Everything Under, on discovering Helen Oyeyemi and why she is the writer she always returns to. 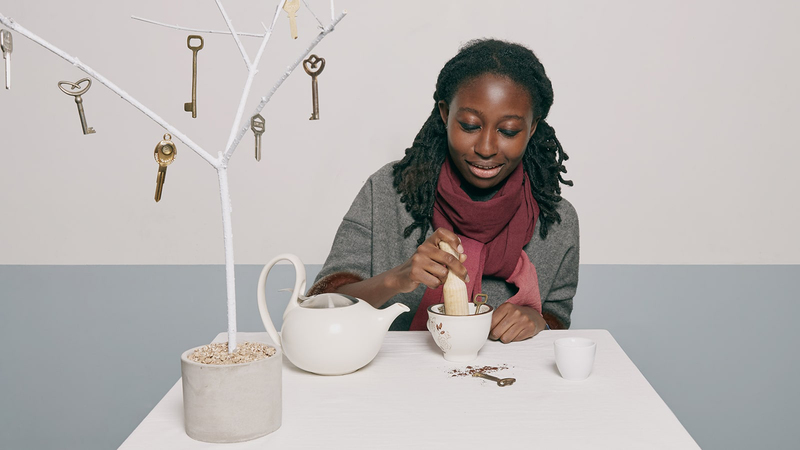 Helen Oyeyemi is the author of six novels and a collection of short stories. Her most recent novel, Gingerbread, is a bewitching tale of motherhood and family legacy. Here, author Daisy Johnson talks about discovering Oyeyemi’s work and turning to her books in times of struggle. I was first introduced to Helen Oyeyemi by a friend who I hadn’t known for a long time but whose taste in books I already trusted. It was the first year of our creative writing Mst and we spent a lot of time drinking in tiny pubs and talking loudly and excitedly about books. I think I know someone you’ll like, she said and produced Mr Fox. I read it quickly, hungrily. It was a retelling of Bluebeard but it was also a novel about writing, fairy tales, a book which delights in language. I’d never read anything like it before; I thought maybe I was in love. Reading a book by an author you have never encountered before feels like a beginning. The joy of finding they have written other books, the slow entanglement in their imagination. Oyeyemi’s world is not like the worlds other writers make. It is tricky and self-referential, like a reflection which morphs the longer you look at it. Stories hide within other stories, folk tales appear and then vanish, characters are never quite what they seem. A simple tale will unravel and, by its conclusion, have encompassed colonialism and feminism and what, exactly, it means to be a person living in the world that we live in. I am a writer of enormous doubts and fears. My father talks about the monkey which lives on our shoulders, weighing us down, whispering worries into our ear. When I imagine my monkey it is a gorilla, enormous looping arms, a sagging belly, not inquisitive but persistent. To save myself I keep my desk stocked with books I love and trust in, books I know I can open when I am struggling. Some of these have changed over the years, books have been added or taken away; but a few remain there. White is for Witching is one of these. I have always loved horror and the supernatural, especially those works which explore from a different angle, which subvert the genre. White is for Witching takes from horror and creates its own twists and turns. Here fear is never far away. Fear of the space behind the walls or of our own bodies or of someone we might love. The white cliffs of Dover are in the background and we imagine scooping up the chalk and filling our bellies with it. The lift in the house clanks up and down in the night. The dead women in our family are jealous and possessive and they are coming back. It is always a cause for excitement when a new Oyeyemi book is born. As with the best writers she never seems afraid to try new things, to break different boundaries, to cross lines previously left untouched. Here gingerbread is more than a biscuit, a character in a book might become real, a door is never what it seems. I feel privileged to have discovered her all those years ago and to recommend her to everyone I meet. 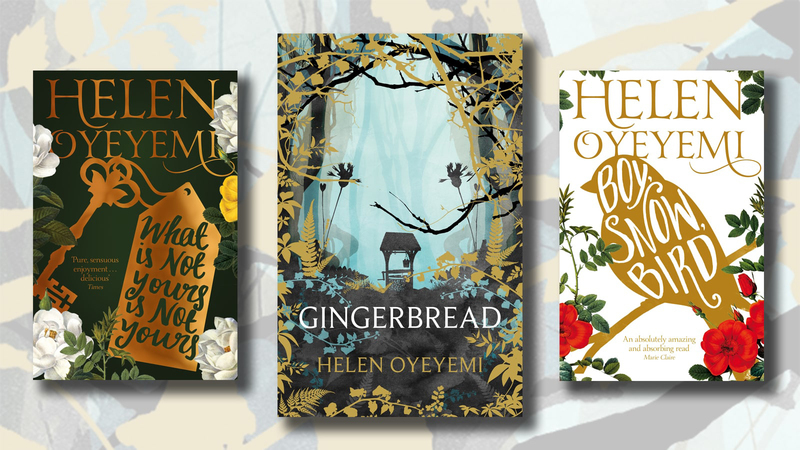 Helen Oyeyemi’s bewitching and inventive new novel about motherhood, family legacy and gingerbread . . . The Silver family, twins Eliot and Miranda and their father Luc, are mourning the loss of wife and mother Lily. Their house, perched high on the cliffs near Dover, belonged to Lily’s ancestors, and to Miranda, it seems like they never left . .
St John Fox, acclaimed novelist, is unprepared for the visit of Mary Foxe, not least because he made her up. Will his muse be able to persuade Fox to stop murdering his heroines and explore love? Mr Fox is an immersive exploration of imagination, storytelling and love.